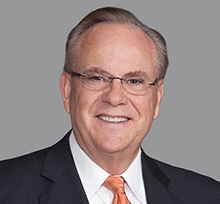 Bill Lockyer is a nationally admired California lawmaker, administrative leader, former State Attorney General and former State Treasurer. Most recently, Mr. Lockyer served eight years as Treasurer of California, starting in 2006, and being reelected in 2010 with more votes than any other state-wide candidate had ever received in the nation's most populous state. Mr. Lockyer served more than 25 years in the California State Legislature, more than half of that time in the State Senate. For the last four years of his Senate tenure, he was chosen by his peers to be President Pro Tempore, the most powerful position of the upper legislative house. Mr. Lockyer is widely regarded as one of the most effective Attorneys General in California history. Selected as President of the National Association of Attorneys General, Mr. Lockyer is the only Californian who has so served, elected by the other Attorneys General. He was the leader of numerous national initiatives and joint enforcement actions during his eight year term. Mr. Lockyer's effectiveness and demonstrated integrity in legal oversight are beyond reproach. Having only recently undertaken assignments in the private sector, Mr. Lockyer remains well positioned to anticipate and address state and federal oversight concerns and continues to maintain strong relationships with many governmental agencies nationwide, and particularly with States Attorneys General. McGeorge School of Law – J.D.